ACKERMANN, Rudolph. Microcosm of London. London: R. Ackermann , 1808. 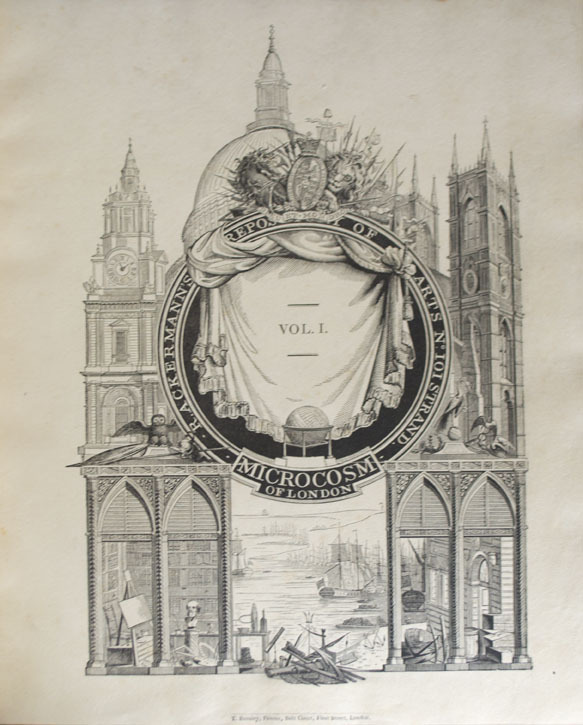 First edition, early issue with pre-publication watermarks dated 1807. Three large quarto volumes (13 1/2 x 10 3/4 inches: 342 x 273 mm.). , iv, -231, [1, blank], [1, contents], [1, blank]; , [iii]-vi, 239, [1, blank], [1, contents], [1, blank]; , [iii]-iv, [1, contents], [1, publisher’s note], 280, [6, index and errata] pp. Woodcut title and engraved dedication leaf in each volume. 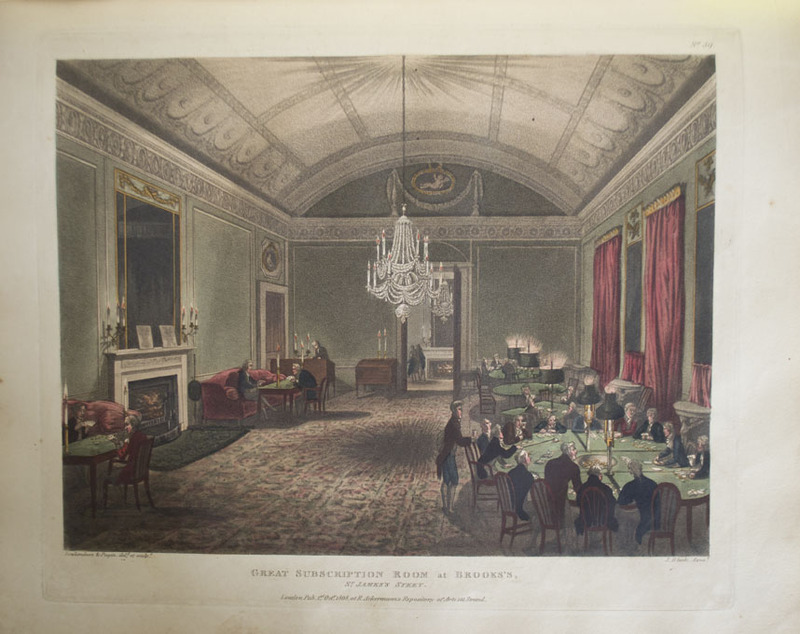 With 104 hand-colored aquatint plates, including fifty-four by J. Bluck, twenty-nine by J.C. Stadler, ten by T. Sutherland, ten by J. Hill, and one by Harraden, after Rowlandson and Pugin. Full brown morocco by Bayntun. Covers with gilt-tooled borders surrounding geometric gilt-lined patterns, spines with gilt diamond designs in the centers, gilt in compartments, board edges ruled in gilt, gilt inner dentelles, all edges gilt. Some offsetting from plates to text as usual. 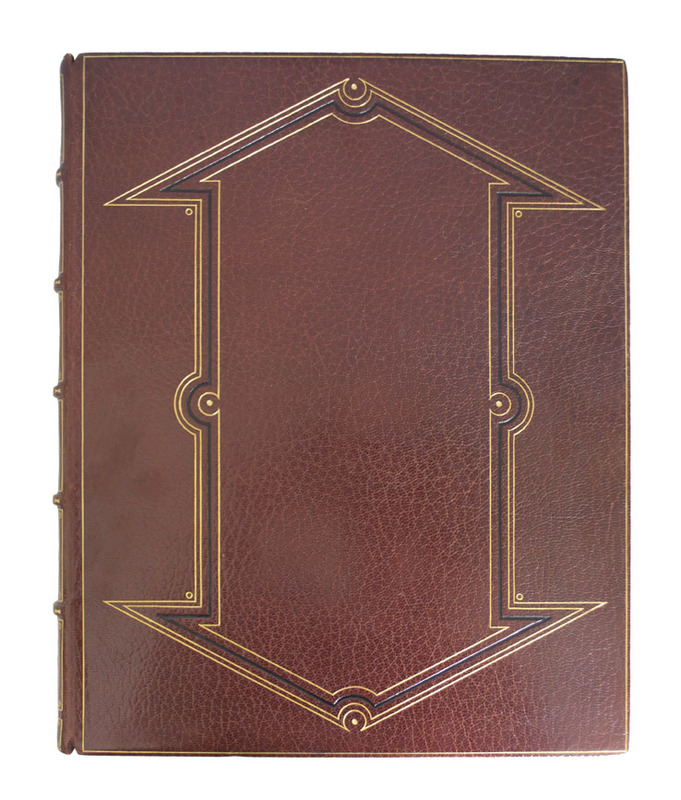 A beautiful copy, with early watermarks and generous margins, in a beautiful binding. 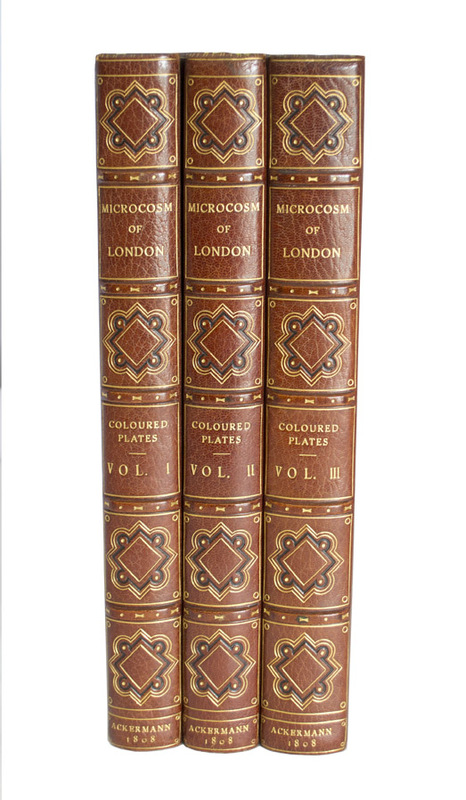 “The ‘Microcosm of London’ is one of the great colour-plate books, and a carefully selected copy should form the corner stone of any collection of books on this subject. 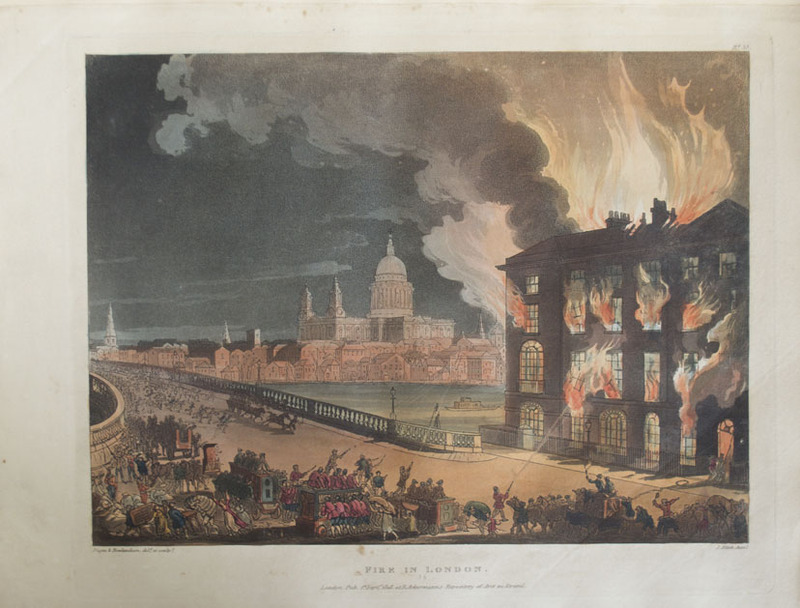 The plates by Rowlandson and Pugin present an unrivalled picture of London in early 19th century, of historic value, as many of the buildings no longer exist” (Tooley). Early impressions are particularly prized: “original impressions of these splendid plates have a luminous quality entirely absent from later printings” (Abbey). Abbey, Scenery, 212. Adams, London Illustrated, 99. Martin Hardie, pp. 100-103. Prideaux, pp. 121-124 and 348. Tooley 7.